Black and white; the bread and butter of the chromatic world and an inimitable pairing as ageless and immortal as the best duos of our time. Lennon and McCartney, fish and chips, Laurel and Hardy, and now black and white; wonderful on their own, but brilliant when paired. This vibrant marriage of tones works wonderfully in interior design and is one of the most eye-catching schemes one can employ in their home. Today on homify we're paying homage to this consummate and unparalleled union of hues. 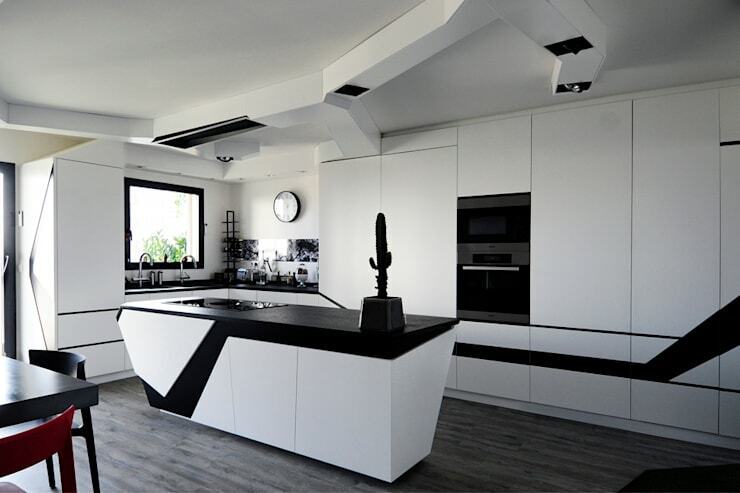 We've gathered our top 11 inspiring black and white kitchens that are sure to provide a few stylistic tips and tricks. Read on below to learn more! 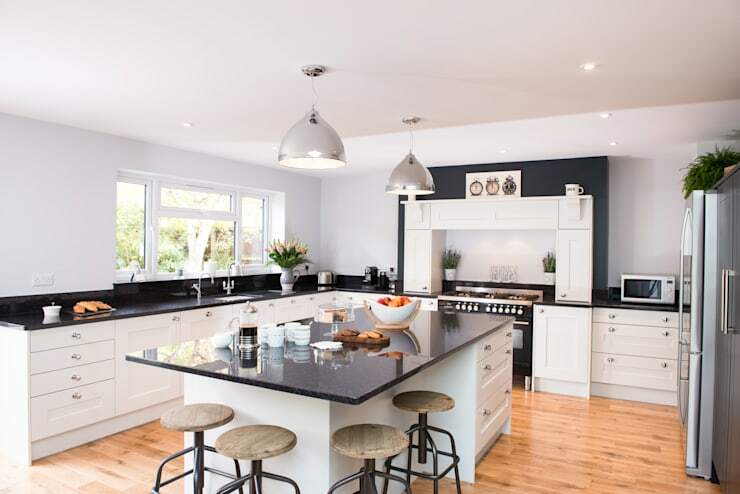 Functional, practical and seamlessly integrated into its heritage dwelling, this gorgeous black and white kitchen ticks all of the boxes. Simple accents create interest within the space, while accessories are employed to evoke class and modernity. We absolutely adore the hardwood worktop and counter that oozes country charm with a hint of industrial timelessness. Would you like something a little different? 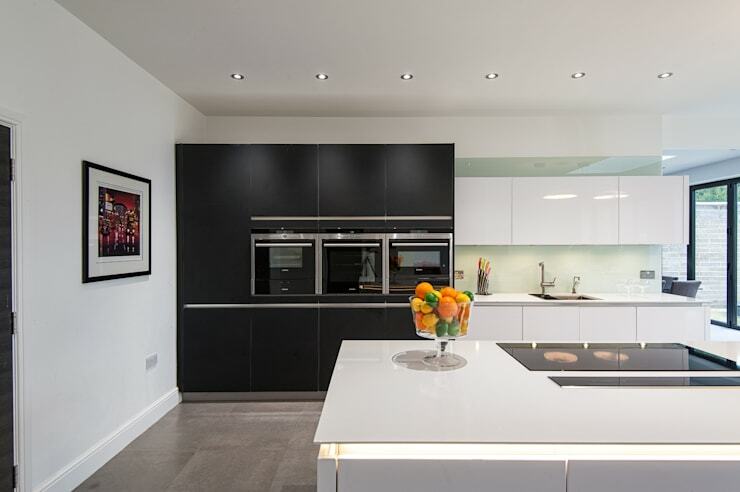 Maybe you'd prefer a kitchen that is vibrant, vivid and is bursting with high-tech sophistication? If the answer is yes, then set your eyes upon this gloriously futuristic setup! Looking a little more like a work of art than a place to prepare food, this is undeniably the epicentre of this dwelling's design. Forget mundane, toss away mediocre, this kitchen is a little different than most, and ensures it is a focal point for this stylish abode. The introduction of black creates drama within the room, but is balanced by the white tones that are added using a 70-30 percent ratio. Look to the classics for a timeless and age-defiant cooking space. Rustic, classic, and yet boasting a hint of contemporary chic style, this kitchen is an undoubtedly welcoming and inviting design. If this kitchen doesn't impress, then we are not sure what will! Replete with luxuriously dark timber tones, and contrasted against sleek white finishes and joinery, this is a beautiful space bursting with impressive opulence. 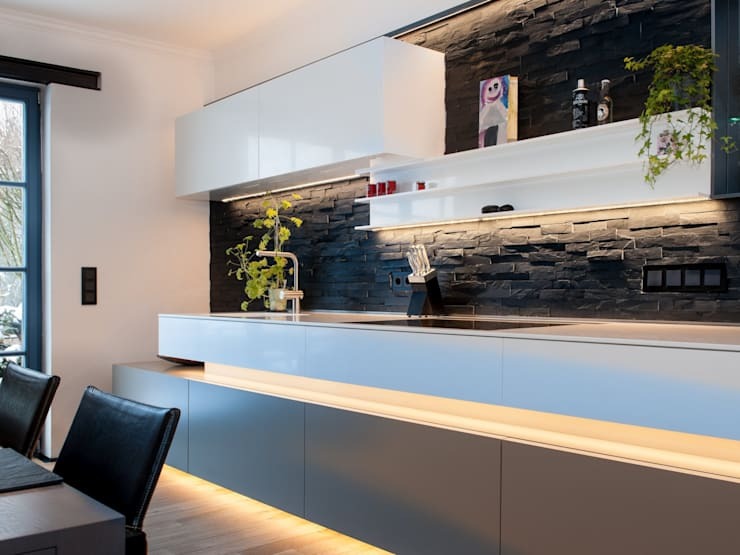 One of the most emotive of all the black and white designs we have seen, this gorgeous kitchen effortlessly incorporates a range of textures and tones to create interest and appeal. Get creative with your kitchen design and implement your black and white colour scheme using some fabulously practical chalk paint! 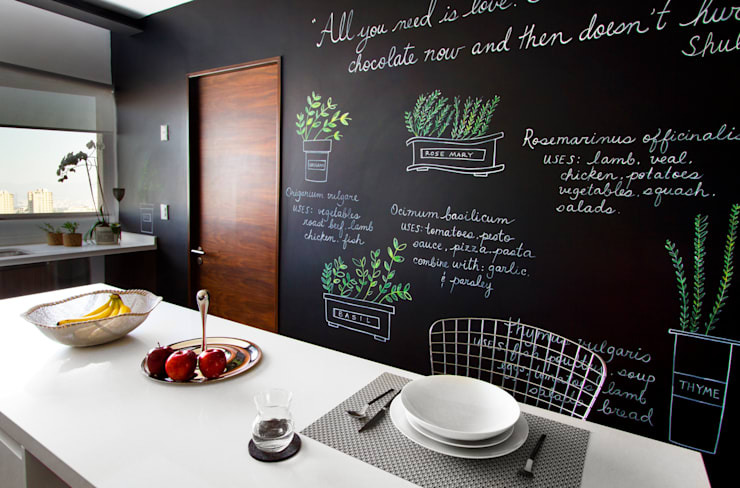 Simple, effortless and perfect as a weekend DIY, a chalkboard wall will add an extra dimension of character and style to your room. 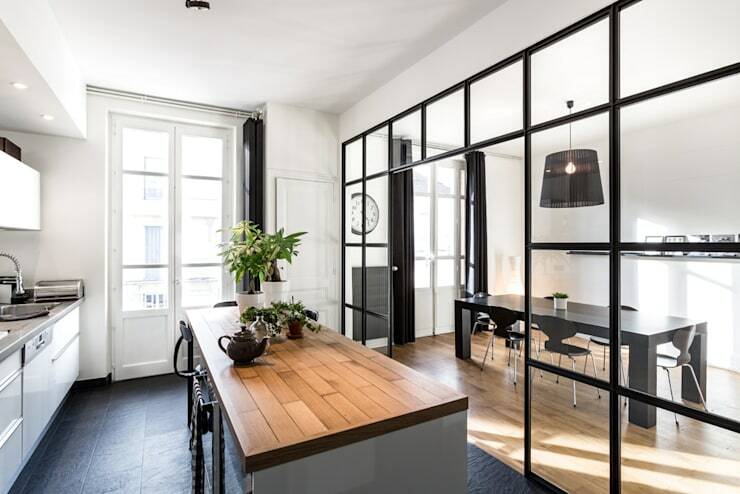 One of the most important things to consider with your black and white kitchen is to ensure you have good access to natural light—and that you use it correctly. Here the large window is softened with a sheer floor-to-ceiling curtain, dampening the shadows cast upon the high-gloss joinery. It doesn't get any slicker or sleeker than this design from Hyla Architects. The monochromatic tones used within this room, work wonderfully to emphasise certain features, while leaving the space feeling open and spacious. 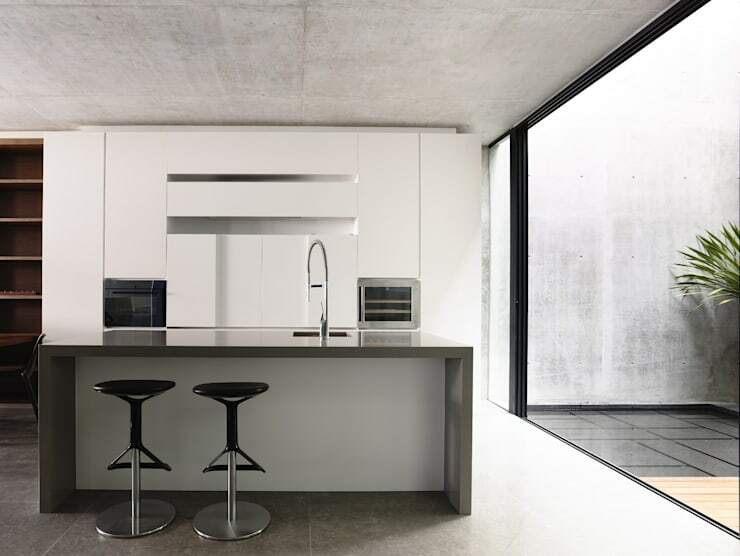 If you are considering a new kitchen for your own abode, or would simply like to remodel your existing space, chat to a kitchen planner or an architect today! 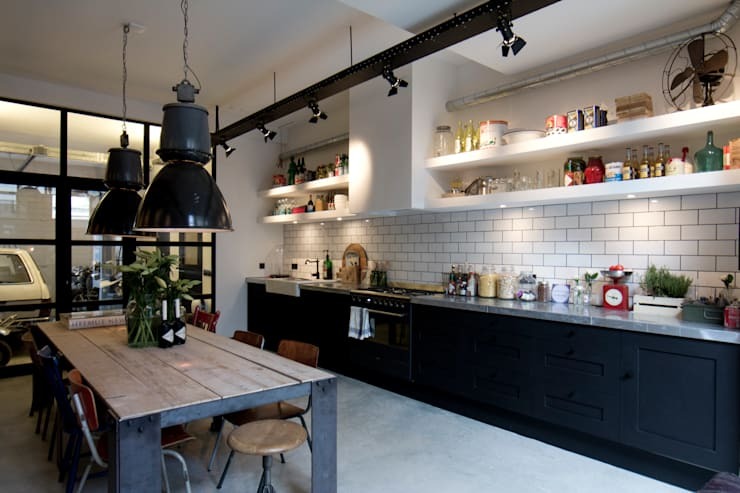 Subway-style running-bond tiling, open shelving, and impressive strip lighting, this gorgeous industrial kitchen works its black and white hues to create a characterful yet eye-catching design. 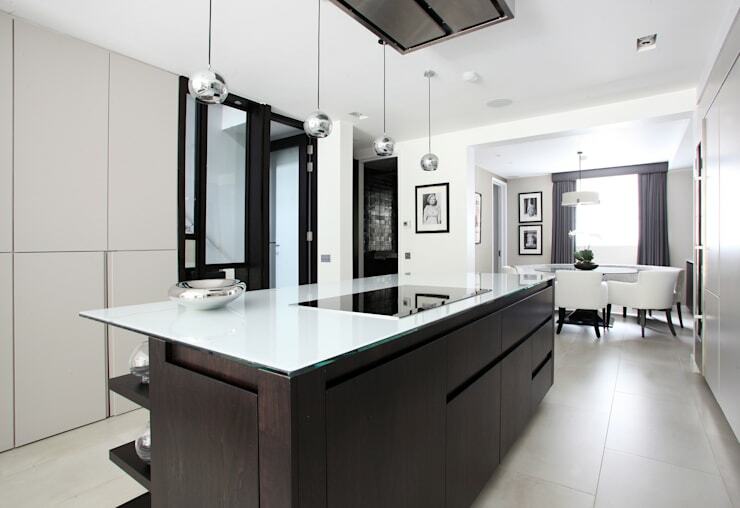 The final kitchen we are taking a peek within today is a fabulously modern example of a sleek and striking cooking area. Replete with split-level joinery, the lighting brings together the different elements in this design, illuminating the entire space elegantly and opulently. Which kitchen is your favourite? We'd love to hear what you liked (or perhaps disliked) about these cooking spaces in the comments below!